A band of stylized trees alternating with leaf or tree shapes; a second band contains script. The latter band has beaded sides. The pattern is white against a red background. The size of the block used is 15 cm. x 12 cm. 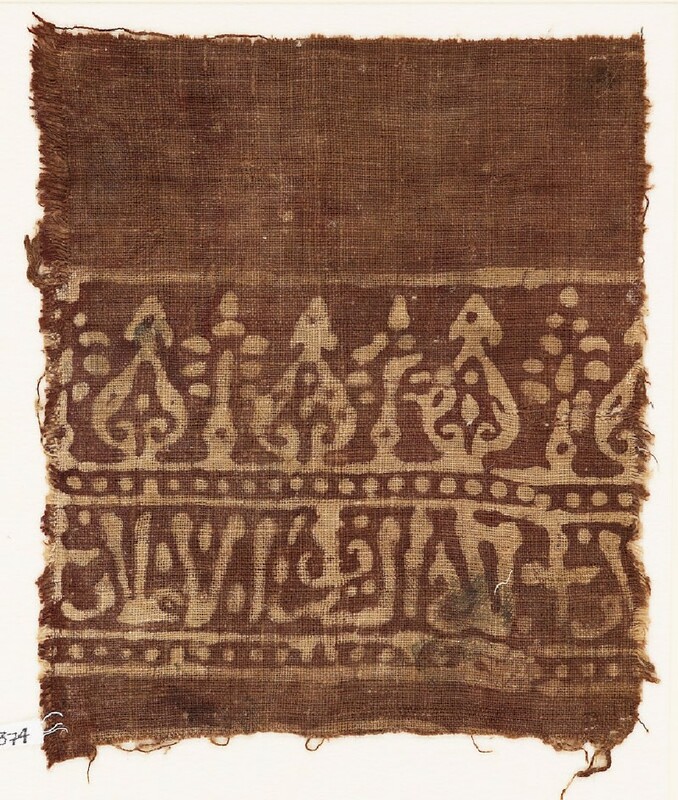 The reverse is almost completely saturated with dye. The inscription cannot be read, but suggests a 13th-century or slightly later source.